Each veteran who is interred at one of the five state veterans cemeteries served with honor in the United States Uniformed Services. Some veterans may have served during peace time, some veterans were in support roles and others participated in multiple combat missions. When reading the markers, you will find all ranks from Privates to Flag Officers. You will learn that Maryland veterans received the highest of honors, including a Medal of Honor recipient. At MDVA it is our privilege to serve those who served. 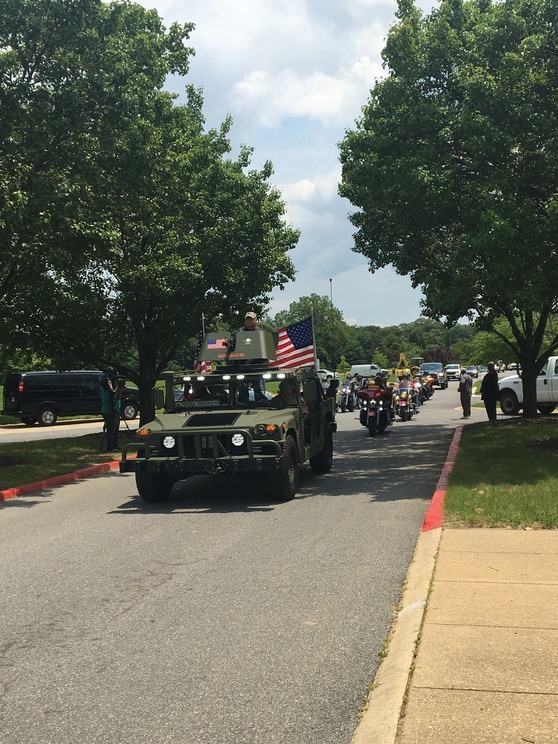 At a recent ceremony held at Crownsville Veterans cemetery, Staff Sergeant Eddison Hermond, who served on active duty in the United States Air Force and then joined the Maryland National Guard, was laid to rest. Staff Sergeant Eddison Hermond lost his life while valiantly trying to save another individual during the Ellicott City flood. 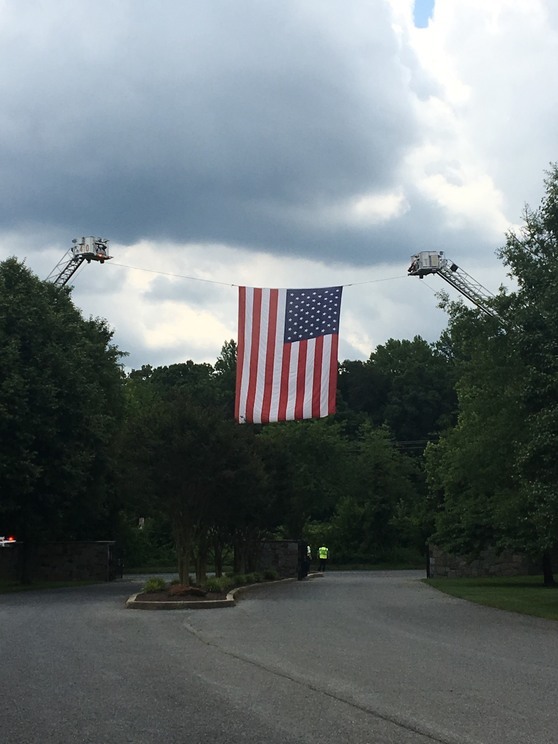 Under overcast skies, a large United States flag was placed at the entrance of Crownsville Veterans Cemetery prior to the arrival of the funeral motorcade for Staff Sergeant Eddison Hermond. 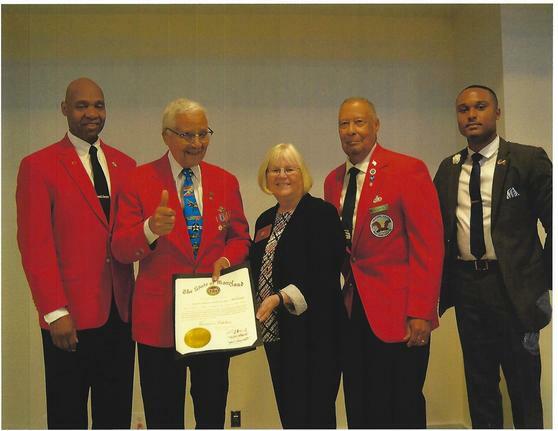 Tuskeegee Airman Colonel Charles E. McGee is presented with a Governor's Citation at a recent event held by the East Coast Tuskeegee Airman, Inc. Colonel McGee retired from the United States Air Force, after serving in three wars: World War II, Korea and the Vietnam War. Colonel McGee flew a total of 409 Combat Missions during his career, and retired with 6,308 flying hours. In the photo from left to right: Jerry Burton, East Coast Chapter Tuskeegee Airman, Inc. President, Colonel Charles McGee, Denise Nooe, MDVA, Maryland Veterans Commissioner Frank Killibrew and Rajah Hilliard, who served as Master of Ceremony for the event. 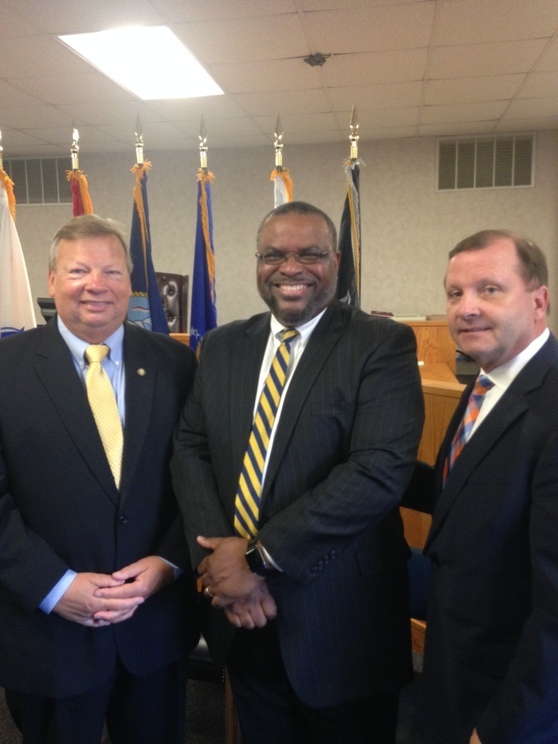 On Flag Day, MDVA Secretary George Owings visited the MDVA office in Baltimore, the United States VA Regional Office in Baltimore, and while at the federal building also visited the AMVETS National Service office. 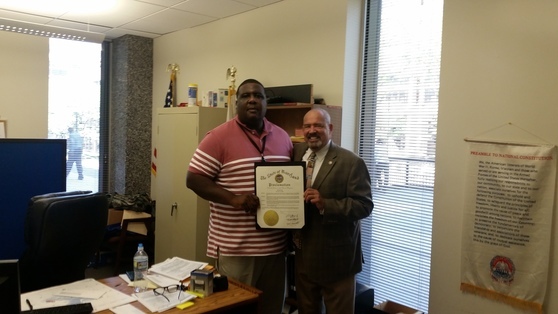 In this photo, Secretary Owings is presenting the Governor's Citation recognizing the observance of Flag Day to Mr. Dana Bolton, AMVETS National Service Officer. In Memorium: It is with sadness we report the passing of long time MDVA employee, Mr. Russell James Makle. Mr. Makle was a veteran of the United States Air Force, and he continued his public service, by working at Cheltenham Veterans Cemetery. He is survived by Rachel, his wife of more than 60 years, as well as three daughters and many family members and friends. Funeral services were recently held for Mr. Makle and he is interred at Cheltenham Veterans Cemetery. The sincere condolences of the entire MDVA staff go out to Mr. Makle's family and friends. The Accelerated Stackable Credentials Series supports cybersecurity professionals currently or those planning to work in government positions or as government contractors on jobs requiring the DoD 8570.1 certifications. · Designed for cybersecurity professionals to rapidly obtain several industry certifications required for work on government networks and for those wishing to receive industry certifications within a particular area of knowledge. · The four courses leading to industry-recognized certifications in Cybersecurity include Network+, Security+, Operating Systems Security (SCMP), and Ethical Hacking & Systems Defense. · Courses are delivered in four-week blended formats (two evening per week in the classroom, with additional online studies). The entire four-course series may be completed in 16 weeks. · Individuals successfully completing the series will earn 15 college credits and be eligible to take industry certification examinations at the Pearson VUE Authorized Test Center conveniently located at CCBC Essex. · EARN Grant funding is available to help Veterans with the cost of taking industry certification exams following the successful completion of each course through the Pearson VUE Testing Center at CCBC Essex. The Maryland Department of Veterans Affairs does not endorse the organizations sponsoring these events, and we do not endorse the views they express or the products/services they offer. The views and opinions expressed in any referenced document do not necessarily state or reflect those of MDVA. The information provided is intended for your general knowledge only, and serves solely as a MDVA community outreach effort.Click to edit this placeholder text.